#1 – Take advantage of templates to boost efficiency. You’re busy—and so is your graphic designer or design team. And unfortunately, when you’re strapped for time and resources, content innovation can take a back seat and the “static-only status quo” lives another day. But you don’t have to build an interactive content asset from the ground up. Interactive content tools come stacked with templates—most of which can be optimized and customized for your brand and audience. By leveraging templates, you can maximize efficiency and get content in front of your audience faster. For example, Ceros—which is a more advanced interactive content tool—offers a template gallery that includes templates for case studies, content hubs, eBooks, infographics, lookbooks, short- and long-from quizzes, and the list goes on. In addition, some interactive content tools give you the ability to create your own templates, which is an excellent feature to take advantage of if you’re creating a content series or if you’d like specific design elements to be the same throughout every piece you create. 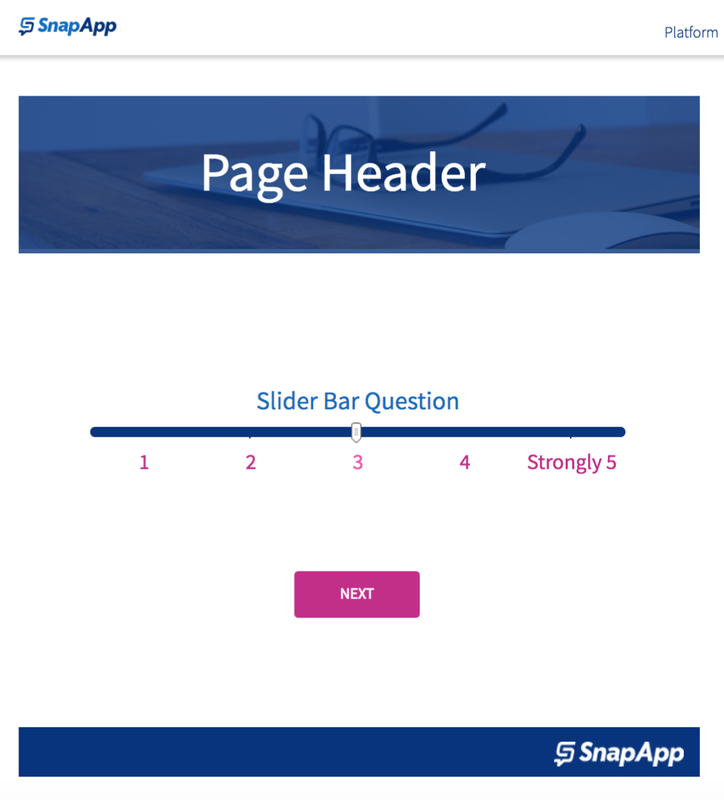 SnapApp, which now bills itself as lead qualification platform for marketers, is a great tool for creating interactive quizzes. And the SnapApp team offers a super simple five-step process for creating a template. #2 – Make use of resources to curb the learning curve. Regardless of simplicity or complexity, every tool has a learning curve. But the good news is that some interactive content tool makers don’t skimp on learning resources. This means you or your design team can get the on-demand resources you need to create great content more quickly. For example, Webflow, which is a platform that allows you to design, build, and launch responsive websites (complete with animations and interactions, of course) without bothering your web development team, has an impressive learning platform dubbed Webflow University. The educational portal is complete with tons of video course and tutorials to get you started and make the most of the tool. They also have a robust blog and a forum for users to ask questions and share best practices. As another example, Ceros Educate is a dedicated learning portal, featuring courses for designers who are just getting started or need a refresher, as well as a plethora of articles that detail specific functions and features. There’s also a collection of resources for developers. Finally, even Qzzr, which boasts an extremely simple interface, offers a learning and support resouce featuring advice and insights from its team. #3 – Leverage integrations to enhance visibility, insight, and lead gen and nurturing. Whether you’re embedding a quiz in a blog post or creating a content resource hub, interactive content tools are designed to make it easy for you to deliver experiential content on your owned channels. And the good news is that most tools offer some unique analytics capabilities so you can understand how users are interacting with your content. For example, Ceros provides all the basic KPIs such as visitors, opens, and pageviews, as well as engagement metrics like time spent and interaction clicks. The tool also track inbound referrals, social shares, video plays, and outbound link clicks. But the even better news is that some tools boast integrations that makes it easy to connect data and information with various CRM, marketing automation, email marketing, and analytics platforms. This not only gives you a more holistic view of how interactive content perform as compared to other types of content assets, but can also streamline lead gen and nurturing, and the sales process. For example, SnapApp integrates with: HubSpot, Marketo, Oracle Marketing Cloud, Pardot, Salesforce, Adobe, and Act-On. As for Ceros, integrations include: Marketo, HubSpot, Eloqua, Google Analytics, and Google Tag Manager. In addition, Qzzr supports webhooks and third-party integrations such as Zapier to send quiz data such as email addresses, scores, and outcomes to a variety of CRM and SaaS tools. There’s no doubt that interactive content tools are designed to help you deliver a great end-experience for your audience. But to really make the investment worthwhile, take advantage of the unique features and benefits each tool offers so you can maximize efficiency, minimize the learning curve, and streamline data collection to improve your marketing and sales efforts. How are B2B brands using interactive content? Check out these seven examples of interactive B2B content to find out. Attending B2B Marketing Exchange in Scottsdale, AZ from Feb. 25-27, 2019? Attend Lee Odden’s session to learn how interactive influence content can help you break free of boring B2B. 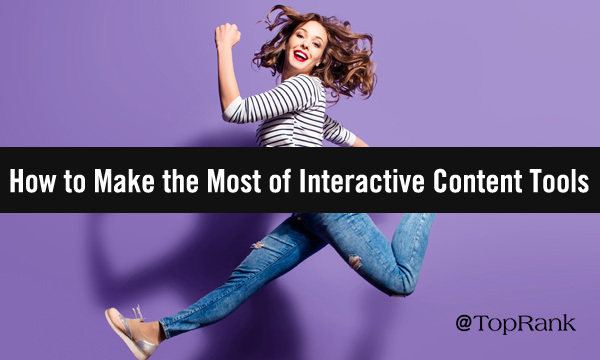 The post How B2B Marketers Can Make the Most of Interactive Content Tools appeared first on Online Marketing Blog – TopRank®.